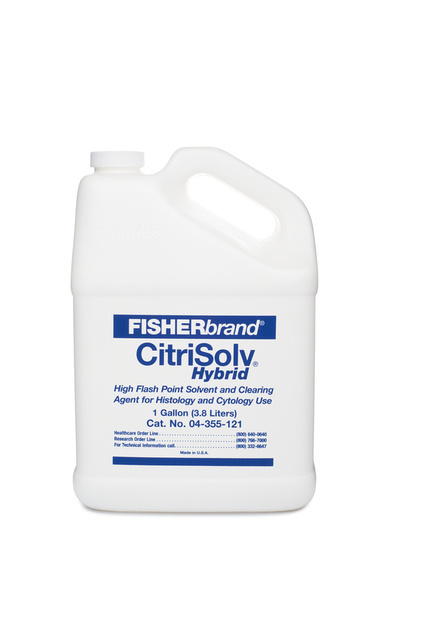 CitriSolvTM Hybrid is a mixture of d-limonene and hydrocarbon material allowing for the reduction of orange aroma and an increase in flash point. Not classified as flammable. Like our regular CitriSolvTM, the CitriSolvTM Hybrid can be used as a safe alternative to xylene and ethyl acetate. It is soluble with absolute alcohol and will dissolve paraffin, glue, adhesives and mounting media.